For a complete overview of all cookies used please see your personal settings. Big and Tiny is among the first co-working facilities in the US to offer onsite childcare. The company was founded by an entrepreneur who is a mother with the aim to empower parents by helping them integrate their personal and professional lives. 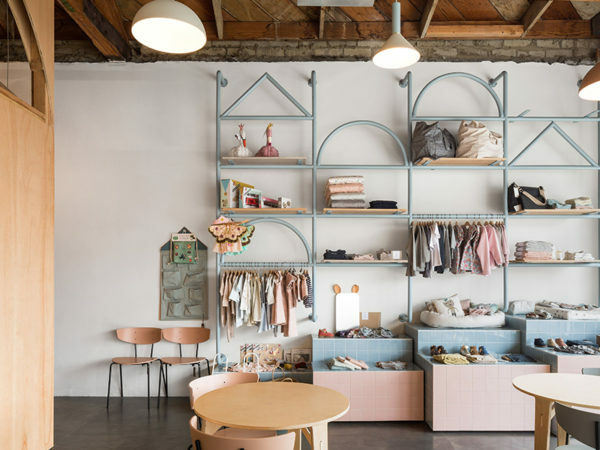 The facility occupies a 2,100-square-foot (195-square-metre) storefront space in the coastal Californian city. Designed with both adults and kids in mind, it is intended to foster “productivity, creativity and community”. The front zone contains a coffee bar and a boutique with kid-themed merchandise. 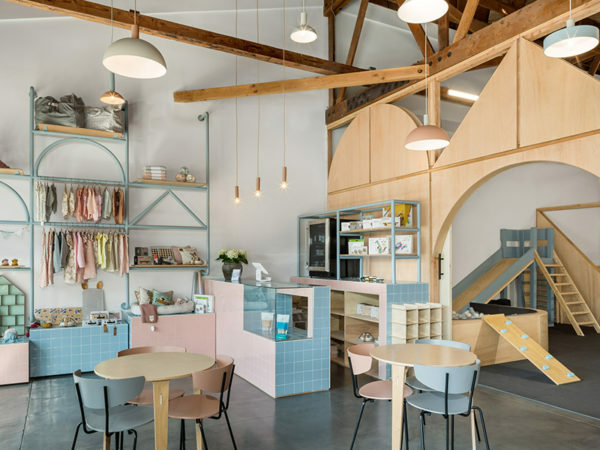 Visitors can sit at round wooden tables and pastel-hued chairs. 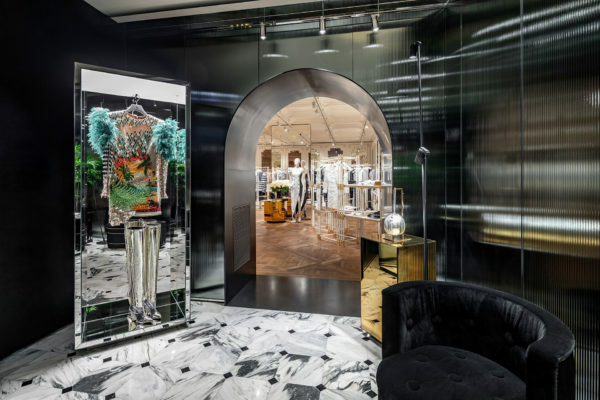 Hanging on the walls are triangular and semi-circular iron racks. 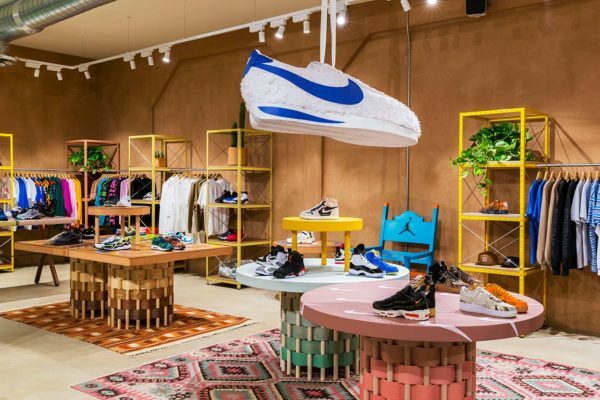 The front area also features tile-clad blocks that are used to form shelving and a display counter. and a small stage. The room also has a studio space where kids can work on art projects and take classes. 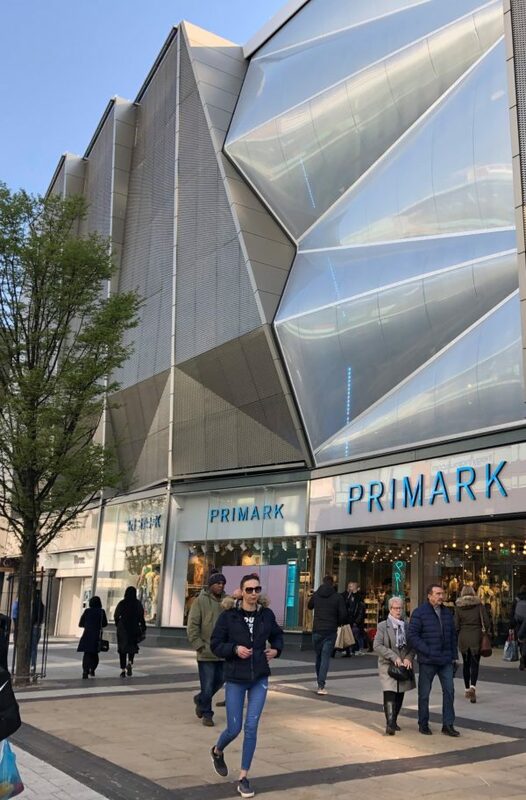 Primark; the new department store?